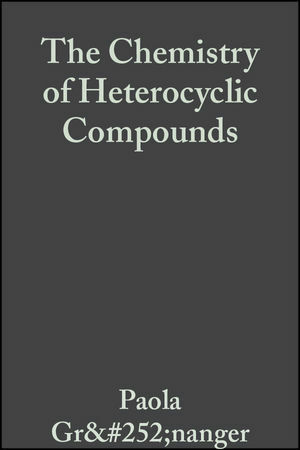 This new volume in a highly regarded, established series provides complete coverage of the heterocyclic chemistry of isoxazoles. Paola Grunanger is the editor of Isoxazoles, Part 1, Volume 49, published by Wiley. Paola Vita-Finzi is the editor of Isoxazoles, Part 1, Volume 49, published by Wiley.